Established Over Twenty Five Years Ago. 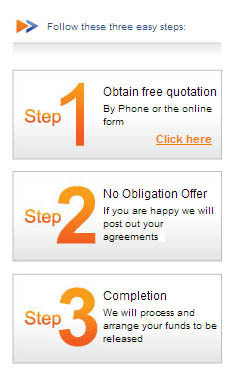 No Obligation Whatsoever & All Quotes Free. Mortgages & Loans For Good & Bad Credit. Over £1 Billion Obtained In Mortgages & Loans. First Choice Finance was established way back in 1988 and has been carefully attending to consumers mortgage or loan requirements from all around the UK. You can rest assured that due to our breadth and depth of experience in finding a loan, mortgage or remortgage for our customers, we may well be able to help whether your application is straight forward or more complex. 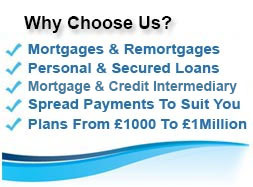 Our loan lenders plans start at £3,000 for personal loans and go up to circa £150,000 for secured homeowner loans. Mortgages start at just £10,000 and can go to over £1 million. Advice is important when considering a mortgage and expertise is critical when it comes to getting the right mortgage or homeowner loan; by choosing First Choice you gain access to both. 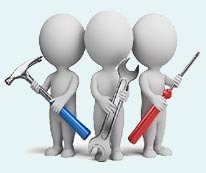 We are UK owned company and our support team are waiting to give you no obligation confidential help, facts, figures and advice. Please call 0800 298 3000 (freephone) or dial 0333 003 1505 (mobile friendly) alternatively complete our short on line enquiry form , don`t worry - there is no credit check with this form. We pride ourselves on our patient and knowledgeable staff, who are entrusted to look scour our products for you. They will advise you of the best possible mortgage for your situation or help you find the right home owner loan to achieve your goals. What started as a small four person operation in a back office has evolved into well oiled national organisation. 25 years later and our journey has landed us in a prime position to deal with your queries. Having withstood several recessions just like you, we are resilient and tactile and will continue to sit in the market place where you need us. For boom and busts to come, you can count on us to deal with all of your financial needs. 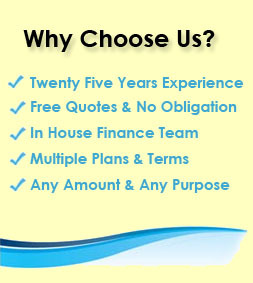 At First Choice Finance we value our customers and treat them with respect from day one. As a result, treating customers fairly is intrinsic to our business model. We know how important you are to us and likewise how important the service we provide to you is. You can be assured that you will sit at the forefront of the mortgage application process. To put it plainly, we do all the work with you in mind. Not only that but we strive to ensure our customers have access to the best possible products, for their circumstance. Our expansive experience in the industry has played a huge role in this regard. We have habitually nurtured long standing business relationships with top lenders and cultivated new ones where we see fit. Our position as a proficient and trusted veteran of the market is reflected through many exclusive deals we hold with lenders. We won`t let our customers get left behind. See for yourself and call the above number. You may be really pleased you took that step. Despite our best endeavours things can occasionally go wrong. In this event and if you are not satisfied then we have a complaints procedure for our clients to follow. Please click on the link below to read our policy and to find out how make a complaint. 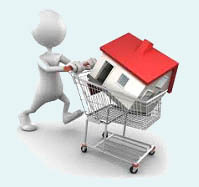 Do you want an alternative to spending days trawling the market to try and find a mortgage deal? Whilst a few lenders only deal direct many other have plans that are not advertised as they change so quickly or do not have a high street presence and our adept advisers, together with our first rate technology can reasearch our lenders for you whilst you sit back and relax. Not only that but once you are a customer with ourselves we like to keep it that way. We are committed to ensuring you are always provided with optimum deals from our limited lender panel. For example; before you take a second thought about re-fixing your mortgage, we will aim to search our market once again to provide you with the best deal. First Choice`s mortgage customer continuation system is targeted to notify when you need to review your mortgage. Then, by working together with you we can have everything in place and ready to go as soon as your rate can change. You don`t have to potentially lose out by waiting around to be told your mortgage has changed by your current provider, we are already here, and if you want to change we will help you get there. So whether you just want to talk through your scenario on the telephone with our in house team or want start the ball rolling by completing our on line enquiry form or call any of the numbers when you are ready, then we will be too. We are authorised and regulated by the FCA (Financial Conduct Authority) for the provision Mortgage Advice and sale of General Insurance. Our FCA number is 302981. We hold a consumer credit license Consumer Credit No: 255609. We were established in 1988 and are registered in England and Wales, company No: 2316399. Taking out a mortgage or remortgage is always a big decision and its important that you choose a company to help you which has a wide choice of products and plenty of experience, therefore increasing the chances of you getting the right mortgage for your individual circumstances. Established in 1988, First Choice Finance have helped countless people throughout the UK achieve their home ownership goals; whether you are a first time buyer or a home mover, looking at purchasing a buy to let property or to pay of some debts and improve your own home through remortgaging, then our in house mortgage advisers will be on hand to help. Not just that but our range includes homeowner loans for any purpose as an alternative to a remortgage and equity release plans for those more mature couples looking to raise some capital from their home to spend as they wish. We have access to mortgages or equity release plans starting at £10,000, ranging up to £1 million and loans from just £3,000 to £150,000. 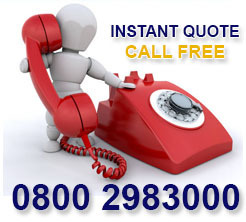 Our service includes free quotations and in house processing, plus you will not be under any obligation to accept any offer made to you. It is worth noting that we have helped customers raise the funds needed whether they have had a good, fair or even a challenged credit history. So a bank declining you is not always a dead end. Discover what First Choice Finance could do for you by calling 0333 003 1505 from a mobile, 0800 298 3000 from a landline or by visiting firstchoicefinance.co.uk. and completing our short enquiry form. Can You Remortgage With Poor Credit?